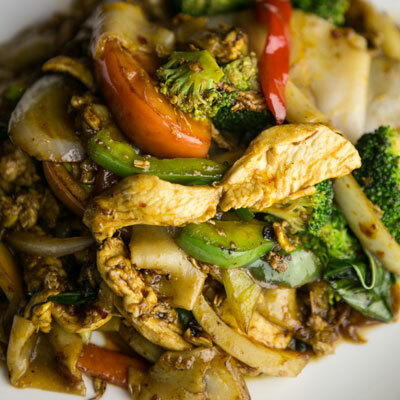 Your home for great tasting Thai dishes since 1996. We stock the freshest and finest ingredients with no MSG added. 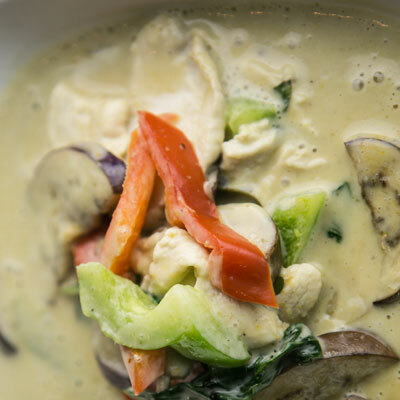 Thai Ginger is proud to serve artfully crafted menu selections influenced by all of Thailand’s geographical regions. Here you will experience the energy and excitement of our exhibition kitchen and be treated to fast and friendly service. 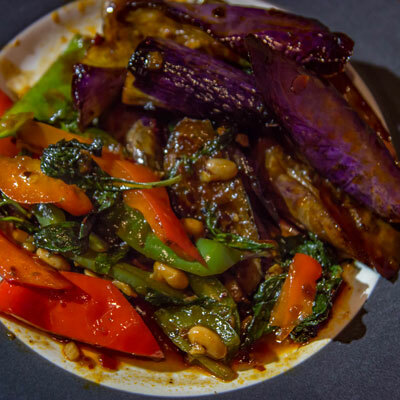 Chinese eggplant stir fried in our house made roasted chili sauce, with bell peppers and sweet basil. 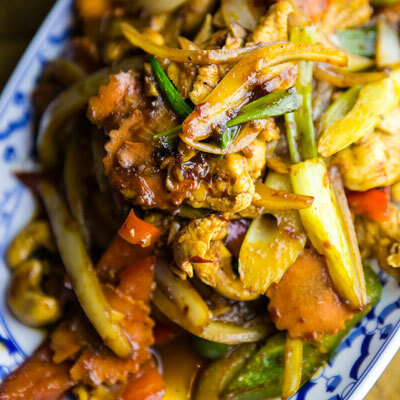 Choose from chicken, beef, pork, tofu, prawns or a seafood combination. 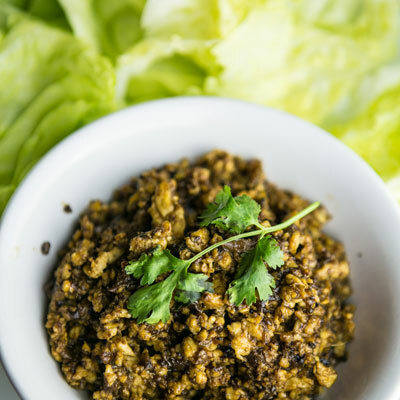 The most famous Thai dish. 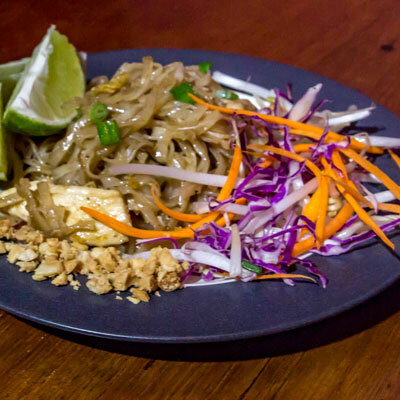 Stir-fried thin rice noodles with egg, bean sprouts, onion and fresh roasted ground peanuts in tamarind sauce and served with a fresh-cut lime. Past winner Bite of Seattle "Best Bite." Chicken tender marinated in coconut milk and a mixture of Thai spices. 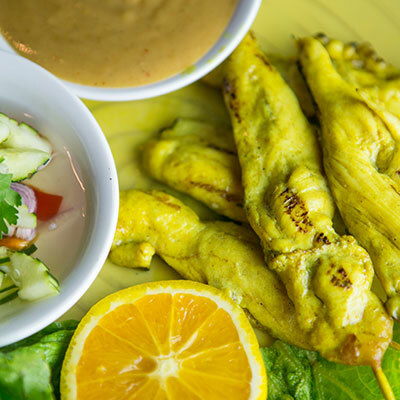 Four skewers served with our famous peanut sauce and cucumber salad. 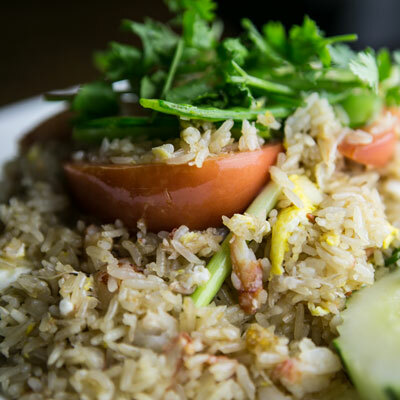 Our famous stir-fried steamed Thai jasmine white rice with fresh Red Rock crab legs and claw meat, snow peas, onions, tomatoes and egg. Perfect with a squeeze of lime! Red Rock Crab leg and claw meat only. Stir-fried fresh wide rice noodles with house made roasted chili sauce, egg, sweet basil, tomato, broccoli, bell pepper and onion.